Fascinating landscapes and the most beautiful sights of Ireland will become in the best way to have a rest, gain strength and energy for any tourist. In our article you learn interesting and useful data on the best interesting places of Ireland. Most likely, you will begin the Ireland tour with this sight, only in Dublin there is an international airport. 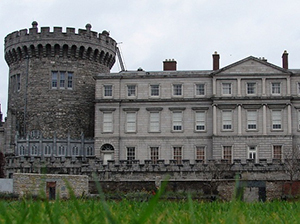 Having passed on streets of the capital of Ireland, you for certain will see a beautiful medieval castle which and is called – Dublin. This very important historical sight of Ireland was constructed in the 13th century on the place of old fortress of Vikings. For the long history the Dublin lock managed to visit the military fortress, court, treasury and even prison. This huge complex of buildings stores a lot of interesting information on Ireland for more than 800 years. The building of the lock which we see now was built in the 19th century. Exactly from now on also begins the best times of sight. From the 19th century to our day in the lock regularly there take place receptions of heads of states, delegations, and also various banquets on the occasion of important holidays. Therefore all tourists wishing to learn history of Ireland should visit this unique sight. 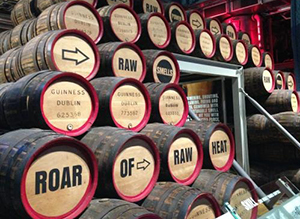 Guinness – the world famous museum of Ireland. Having visited this sight, you can see own eyes all stages of brewing, and then enjoy a glass of beer in the bar “Gravitation” which to be in the same building. It is clear to become why this museum is one of the most popular vacation spots among tourists of Ireland. Yes, among tourists, the percent of visit of the museum by residents of Ireland makes only 5%. Other 95% are made by tourists whose annual number exceeds 700 thousand people. This unique sight of Ireland is constructed in the seven-story building in 1904. Subjects of regular exhibitions of the museum are devoted to history, methods and traditions of brewing. It is interesting to know that in this remarkable museum of Ireland there is also a special showroom under the name “Choice”, which main objective – to tell about harm of health, and also to show a huge collection of displays and barrels from beer. Surely visit this surprising sight, and you will not regret. 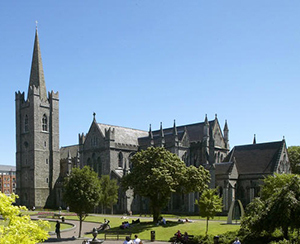 Saint Patrick’s cathedral – the main spiritual center of Anglican church of Ireland. 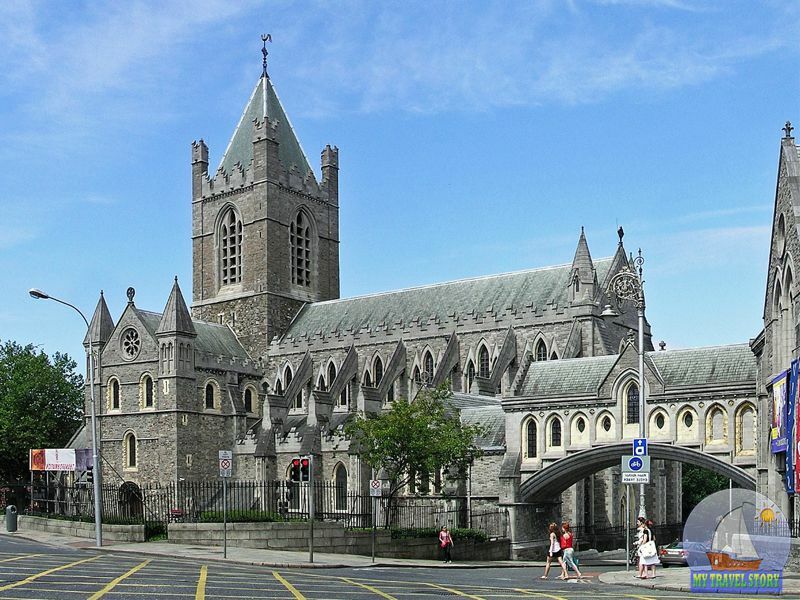 History of a cathedral was very difficult: from the moment of the first mention (1191) church destroyed a huge number of times, but it did not prevent it to become the religious center of Ireland. Up to now in this sight the unique interior which perfectly supplements medieval appearance of a cathedral remained. Every day the church accepts more and more public national ceremonies which draw attention of a large number of tourists from around the world. Annually to similar ceremonies and usual daily services there come more than 300 thousand people, but the most part wishes to admire this unique ancient sight of Ireland. It is interesting to know that in 2006 the cathedral was captured by 18 refugees from Afghanistan who wished to be granted a political asylum. Release of a cathedral so dragged on that only in several days the sight managed to be taken away from refugees. After check it turned out that the church was in an integrity and safety. 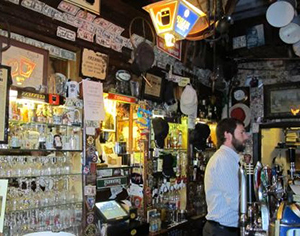 Pub “The copper head” – one of the best sights of Ireland. Being in round, you should visit “The copper head” even if you also do not drink alcoholic drinks. Fine music, medieval style of this remarkable institution of Ireland create the cozy atmosphere which will help you to have a rest and distract from ordinary problems. What to tell here about the Irish beer, wonderful on taste, which skill of creation was perfected centuries. Construction of this most beautiful sight came to the end in 1198. At once after opening it began to enjoy wide popularity among residents of the capital of Ireland – Dublin, and later few years, it became widely known all over the country as the excellent place where it is possible to drink tasty beer, to enjoy pleasant music, and just to have a rest. Since then the pub “The copper head” became an integral part of any round on sights of Ireland. Presently this institution is known to all Europe and enjoys wide popularity among tourists. Interesting information, useful tips and the detailed description of sights - all this you will find in our article devoted to sights of Ireland.